← Its GONE! My Nightmare is OVER! From the time we were young children we’ve been taught to believe we are invincible. Any Wile E. Coyote cartoon shows the road runner constantly out smarting Wile E. In one frame Wile E. getting blown up or falls to certain death in a desert ravine and the next frame he’s back at it in hot pursuit again. As we get older there are video games teaching us the same lesson. Your avatar is constantly challenged level to level, eventually succumbing to your foes. But restart the game and you are back again live and well ready to take what you learned from the last challenge with the hopes of going further the next time. 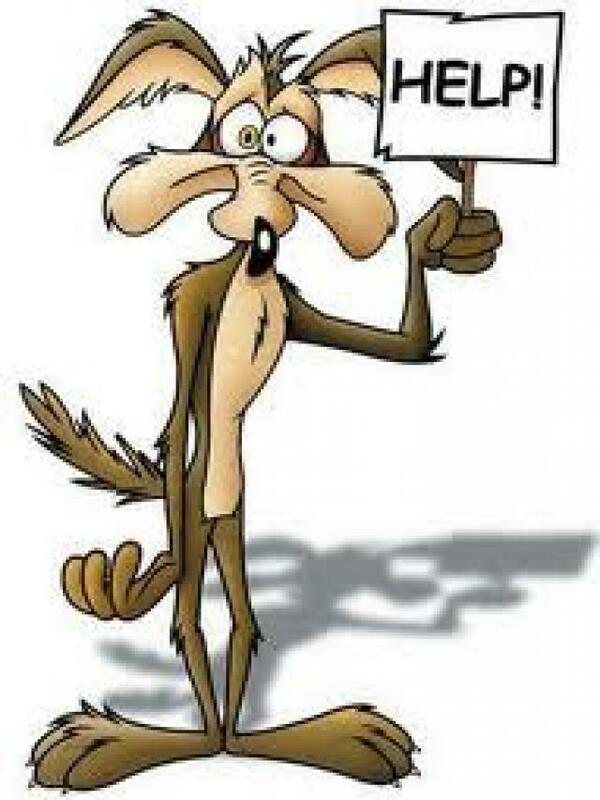 Never once does Wile E Coyote or your avatar reach a point of no return or a time when life just will never be the same again. Cartoons and video games aside, even in real life our parents did such a great job of watching over and protecting us, nothing bad ever happened. Therefore we boldly go through life thinking nothing bad can ever happen to us. Everything always happens to everyone else just never to us. We are invincible, or so we think. Do you feel like this some days? Maybe your body is trying to tell you something. As we live our little fantasy lives, we abuse our bodies, often without even realizing it, a little at a time. And many things we expose ourselves don’t seem to have a detrimental effect when the exposure is limited. Our bodies do a great job fending off disease. But as life goes on those exposures accumulate. All that red meat, cigarette smoke (or second-hand smoke), pesticides, high fructose corn syrup seemed pretty innocuous. Eventually our poor bodies can no longer fight as well as they could, but since they had been handling it so well so far, again we feel we are invincible. I think we all know the best ‘treatment’ for cancer is prevention. I see the number one prevention techniques as fueling your body properly with healthy fresh foods, limiting red meat intake and avoiding carcinogens (cigarette smoke, pesticides, processed foods, etc). Of course no one has gotten to adulthood without some sort of exposure to carcinogens whether taken knowingly, accidentally (i.e secondhand smoke), or consumed covertly in the foods they eat or from public drinking water, just to name a few. So since none of us has lived in a controlled bubble and knowing what we know now about things we are exposed to on a daily basis, the next prevention technique has to be seeing your doctor regularly. Along with that comes having your routine screening tests on schedule. Ask your doctor if you are up to date on all screening tests. And if he says no, hold his feet to the fire and get them scheduled! While this might not be prevention in the purest sense of the word, the earlier you catch things the more easily treatable they are. You may also notice issues that fall outside of the recommended screening schedules. That does not mean your symptoms can be ignored. For example, recommended screening for colon cancer by colonoscopy typically starts at age 50 for everyone unless there is a family history of colon cancer. For those exceptions, the rule of thumb is 10 years before age of the family member at diagnosis. This does not mean, even without a family history, that you can’t get colon cancer before you are 50 years old. For these times that fall outside the norm, in order to prevent or to catch cancer at the earliest and most treatable stages, you must be in tuned to your own body. And most important, if you notice any subtle changes you must do something about it by making an appointment with your doctor immediately. Don’t get caught in that trap where you think you are invincible, no family history, don’t have time, etc. Cancer for whatever reason is occurring at epidemic rates. No one is immune! It’s a far better feeling to hear your tests are normal, than to be kicking yourself for ignoring symptoms, putting them off, then finally finding out your cancer is in advanced stages. It’s no coincidence that the sandwich generation is so susceptible to cancer. Please don’t be so busy taking care of your children plus your parents, plus your spouse all while maintaining a career to not take care of yourself. You need to stay in tip-top condition so you can continue with your busy lives. It’s hard to take care of others when you are in that chair getting chemo, and frankly, you are out of commission most of the time between treatments and long after they are over. Each cancer has its own warning signs so be aware of ANY changes in your body and don’t ignore even one. And don’t think, I’ll take care of it when I have time. Scheduled those appointments NOW. As a member of the sandwich generation there will always be something cropping up that needs to be taken care of. You need to make yourself priority ONE! After all, if you don’t do it, who will? No one else knows your body like you do. And who has to live with the consequences if you don’t? The answer to that is… everyone. This entry was posted in Prevention and tagged cancer, prevention, screening. Bookmark the permalink. 1 Response to Make Yourself Priority One!